From “Terminal ∞” and “The Institute for Silence Research” through “Creatorium” and “Vortex”, the performances of Sensory Theatre Sofia outline a clear trajectory which encompasses a number of main topics, united by one general direction – from the limited and the ultimate to the infinite. The new sensory performance-labyrinth MARE INFINITUM is just the next point on this trajectory. 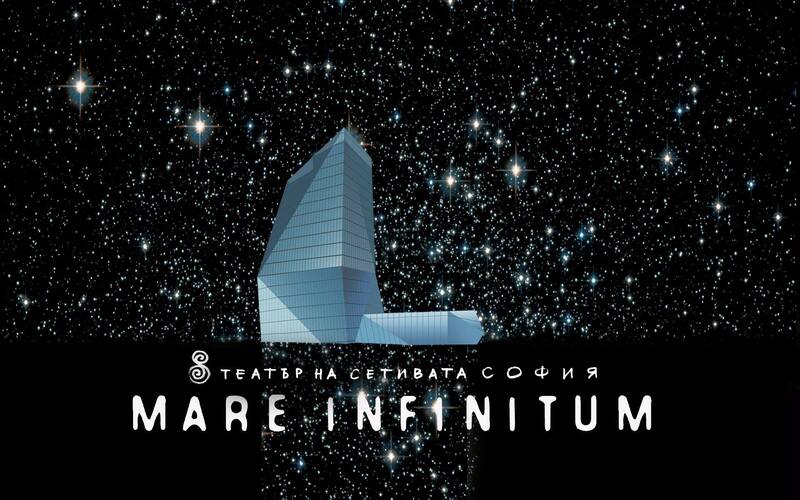 As high tech, dark and deep as it is, MARE INFINITUM brings the senses to their limits (in the direction of the barely perceivable) and tries to transfer the participant’s mind in the dimension beyond. MARE INFINITUM is an interactive “site-specific” performance, from the “sensory labyrinth theatre” type. In this theatre, the audience consists of active participants (not passive spectators) who meet and interact with the artists in person, thus creating their own performance (on the stage of their minds). The Labyrinth travellers pass through sensory installations, prepared in advance, rich with unusual provocations (auditory, tactile, aromatic, visual and flavour). The tickets are limited to 30 for a single performance. The project is accomplished with the financial support of Ministry of Culture – Bulgaria. ← BECOME PART OF THE SENSORY THEATRE SOFIA TEAM!